architecture in the philippines surveys the contemporary condition of the country’s built environment, showcasing a range of innovative projects and the diverse materials and unconventional forms employed in their construction. bamboo is a woody grass that is known to be the fastest-growing plant in the world. it has become a popular material choice in architecture and design projects because of its sustainable qualities and hardwearing characteristics as it has a higher compressive strength than concrete or wood, and rivals the tensility of steel. 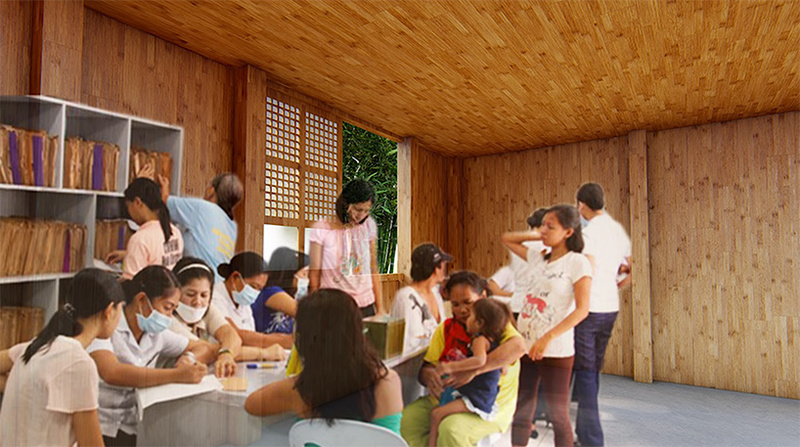 earl patrick forlales, a 23-year-old from manila, has designed a system of low-cost modular residences to help solve housing problems in the philippines. 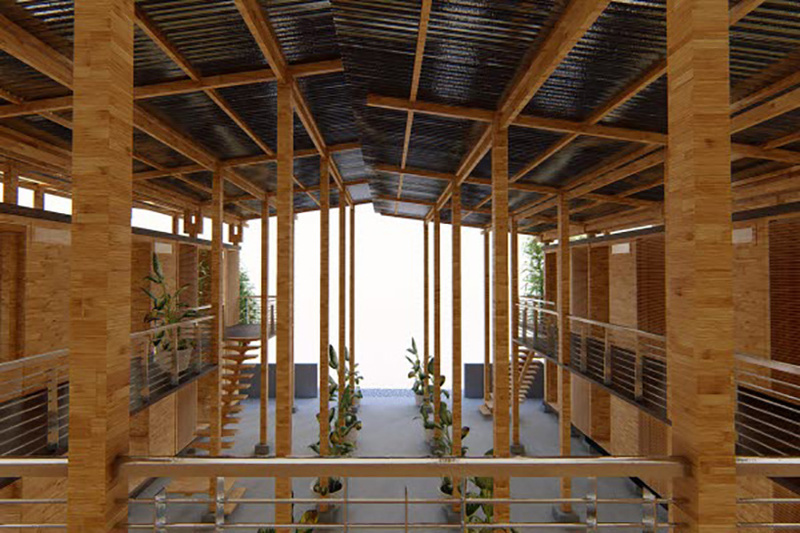 inspired by the materials used on his grandparent’s rural home, forlales explored the potential of bamboo, and, although the scheme has been designed for low-income communities in manila, the ideas behind it can be applied to any city where bamboo can be grown — including most of southeast asia and parts of africa and latin america. with a population of more than 12 million people, manila is one of the fastest growing megacities in east asia. currently, a third of the city’s population live in slums, with 2.5 million workers expected to move to manila in the next three years to work on the government’s infrastructure program. 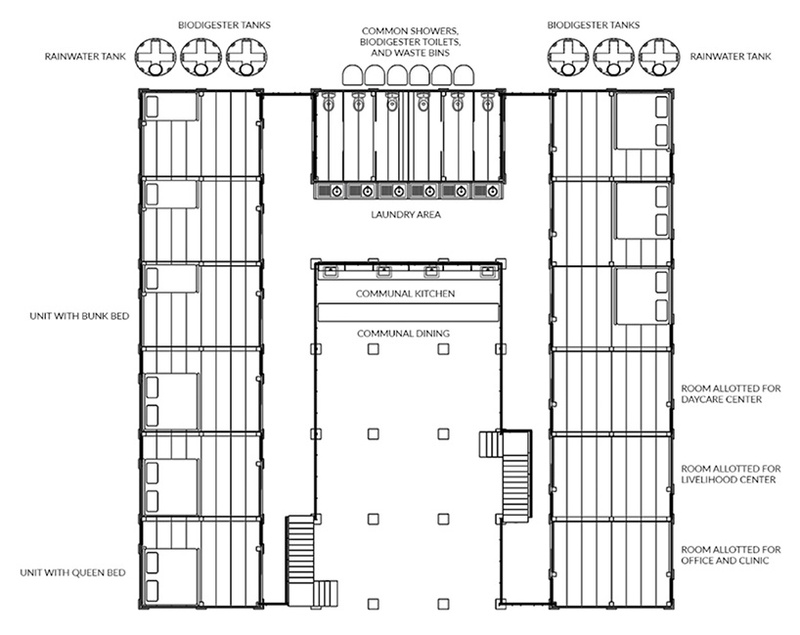 forlales’ design — named ‘CUBO’ — could be used to house the incoming worker population in the short term, before being applied to the wider city. 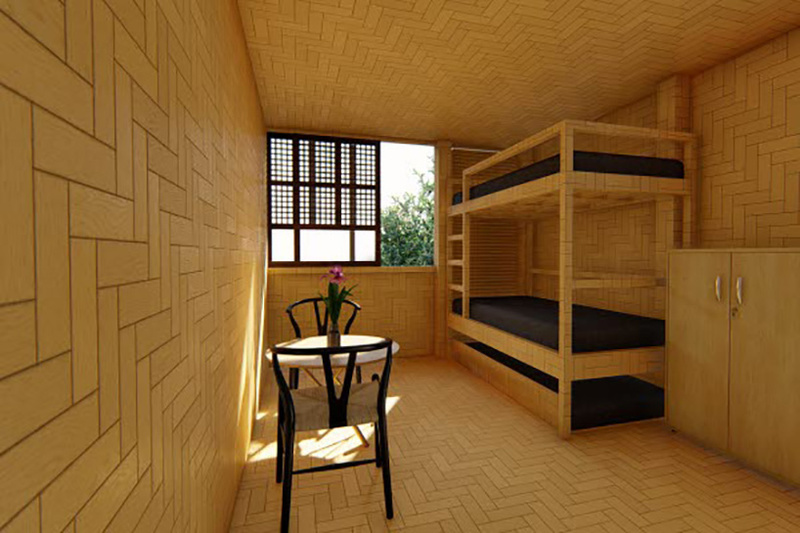 as a result of the simple modular design and cheap materials, the houses can be constructed in just four hours at a cost of only £60 per square meter. meanwhile, homes can be join together so that residents can take advantage of communal kitchens, bathrooms, or offices, and foster a sense of community. based on current forecasts, the units would be able to rent for £0.20 per day, which means each unit would turn a profit within 5.1 years. the cost of £0.20 per day also represents a significant saving over existing alternatives available in manila, and makes the unit affordable for even the city’s lowest paid workers. 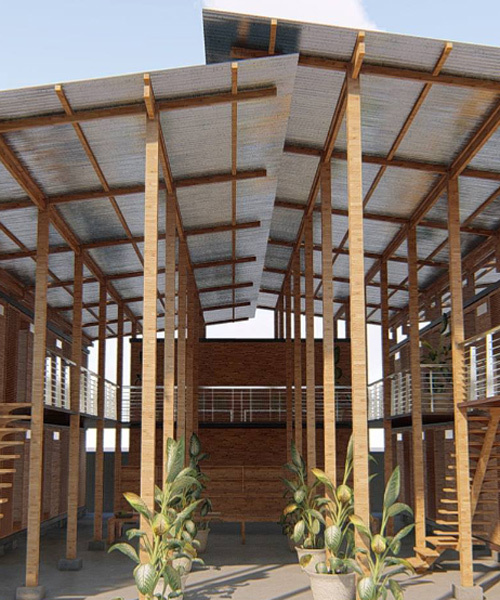 from a design perspective, tilted roofs capture rainwater and reduce heat gain, while elevated stilts prevent floodwaters from entering the home. forlales has also developed a business plan that will provide local people with not just housing, but new skills, jobs and community space. he also proposes raising money for the project by selling waste plastic to factories. 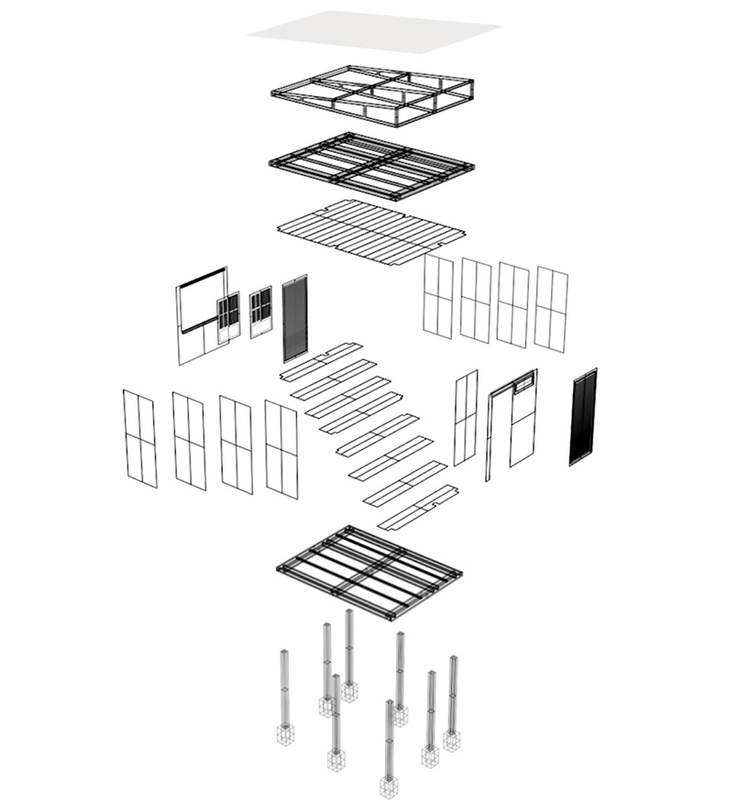 Several years ago I wrote a Amazon Kindle Novel called “Six Mountains” that had a similar concept with panels made of Bamboo, Balsa Wood and Basalt Fabric. I congratulate Mr. Forlales making his concept a reality. Could be interested by your concept and need to know how your bamboo is treated. I would like to know more about this CUBO design as I would like to build something similar here in Cebu. How can I contact Mr. Forlalese to discuss the possibilities of not just single units but the combined community unit also. 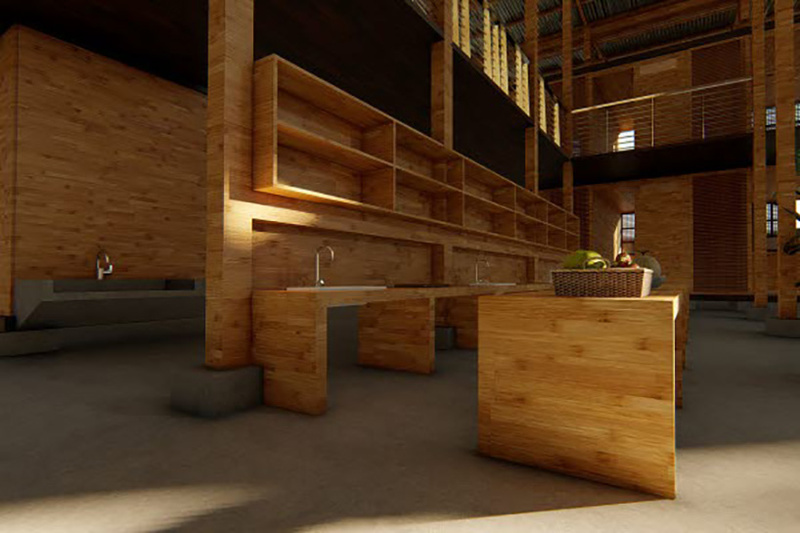 I have the available land and love the new bamboo concept of the traditional rural house. Please contact me at the above email address. Our Titas house in hagonoy, bulacan has started to bend forward due to the ravages of flood waters and high tide. Will this last through flood waters? Hi, any plans for a prototype community?